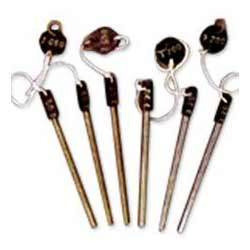 We are a leading Supplier & Manufacturer of Thread Measuring Wires such as Carbide / Steel Measuring Pins and Carbide Pins from India. The manufacturing of this product involves using of quality raw materials and a number of advanced machines. 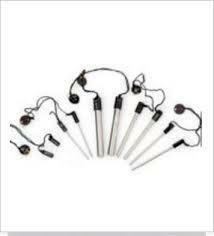 The offered pins are used for the purpose of making several cutting tools. We are engaged in supplying Thread Measuring Wires, which are manufactured using optimum quality raw materials and advanced technology. These wires are made available in standard sizes and are priced competitively. Moreover, these wires are highly durable and non-abrasive. Customers can avail these wires from us as per their requirements. We are engaged in supplying Thread Measuring Wires Set, which are manufactured using optimum quality raw materials and advanced technology. These wires are made available in standard sizes and are priced competitively. Moreover, these wires are highly durable and non-abrasive. Customers can avail these wires from us as per their requirements. Looking for Thread Measuring Wires ?